AP reporters found approximately 35% of all fatal workplace accidents involved a worker 55 years or older in 2015. This meant older workers accounted for 1,681 of 4,836 workplace fatalities across the country that year. Overall, the rate of fatal accidents for older workers between 2006 and 2015 varied between 50 to 65% higher than for all workers. The annual fatality rate for older workers slightly increased over at time period. This is in spite of the overall workplace fatality rate falling by 22% between 2006 and 2015. Work is becoming safer for workers under 55 while it is becoming more dangerous for their senior counterparts. In California, specifically, the news is not any better. In 2015, the fatal accident rate for older workers was 3.4 per 100,000 workers, which was 60% greater than the fatality rate for all workers. 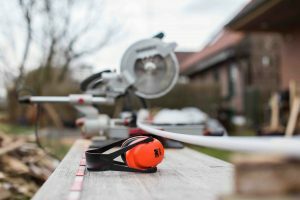 After an older worker passes away in a job-related accident, that individual’s family has to figure out their legal options. If the worker was an employee and covered by workers’ compensation insurance, then the family has the right to file a workers’ compensation claim. They may obtain compensation for their loved one’s medical expenses, funeral and burial costs, and some lost wages. However, many workers are not covered by workers’ compensation. In this situation, the family may need to look into filing a wrongful death lawsuit. If there is evidence that negligence, recklessness, or intentional misconduct led to the worker’s death, then the surviving spouse, children, or estate may have the right to file a legal claim and seek compensation. If you lost a parent or spouse in a workplace accident and workers’ compensation is not an option, contact our experienced wrongful death attorneys of Brod Law Firm at (800) 427-7020. We offer free consultations to learn about your situation and advise you on your legal options.